What makes a good escape room? something that offers a sense of mystery, adventure and irresistible challenge. Getting that perfect mix of theme and enjoyable puzzle mechanics requires no small amount of attention to detail. Any out of place element or overly perplexing clue can ruin the fun. Storytelling draws people in. That’s why movies, books, shows and video games are multibillion dollar businesses. With escape rooms, we use the narrative hook of storytelling to motivate curiosity. Finding that next clue becomes more important if you learn why the clue was left in the first place. Also, creating characters and backstories for the challenges offers extra subtext to guide your next decision. Fun can come to a screeching halt when you get stuck on a puzzle. Of course the puzzle should not be too easy, but running people into a dead end only leads to frustration. To find the right balance of challenge and guidance, most escape rooms have multiple clue threads laying around. Participants who get stuck on something can work on another loose end until it leads them somewhere else. Sometimes, a clue found in the beginning will not even make sense to a group until towards the very end. 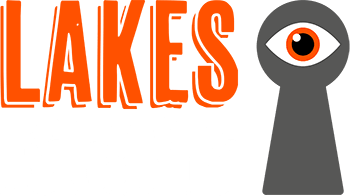 Lakes Escapes Ltd have mulled these balance issues carefully and try to give participants enough to chew on so they do not get stuck but enough obscurity that they cannot solve puzzles just by trying the first thing that comes to mind. After all, solving a problem is so much more rewarding when it requires effort. Themes admittedly pull people into puzzles better than any other design element. We have active imaginations, so getting the chance to pretend we are super sleuths in training ups the immersion and the stakes. Creating a cohesive theme involves countless hours of planning. It also required us to go out and find props, furniture and decorations that fit 100% in theme. At the same time, we want to guide participants in a consistent way, which means not making something that is supposed to be a predictable prop look like a clue. Naturally, there are times for exceptions when a hint is telegraphed in an unexpected way, but participants should never feel cheated by an unexpected jump in logic. All of these elements make a fun, colourful and memorable theme one of the hallmarks of well-designed escape rooms. You can enjoy all of these qualities as well as friendly service any time you visit Lakes Escapes Ltd in West Cumbria. Throw yourself into an exciting, fun, and engaging new experience today, and challenge your mind and your skills and BOOK your escape room today!